Due to the phenomenal success of the inaugural ARISE Magazine Fashion Week 2011, where 5,000 guests, 51 designers, 81 models, 5 musical acts performed over three days - ARISE is once again proud to announce that it will return to Lagos in March 2012. 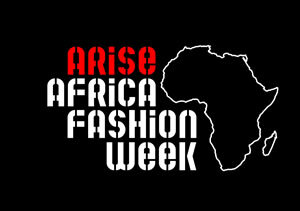 The ARISE Magazine Fashion Week 2012 fashion extravaganza will run for an extended period of SIX days from Tuesday 6th to Sunday 11th March 2012. Once again, ARISE will invite 50 designers to participate in its 2012 Fashion Week show. The much anticipated finale will host the spectacular ARISE Magazine Fashion Awards. The very best of the designers will be invited to participate in the annual ARISE Magazine Fashion Gala at the Mercedes-Benz New York Fashion Week in September 2012. At last year’s AMFW 2011 fashion event SEVEN designers: Lanre Da Silva-Ajayi, Jewel by Lisa, Asibelua, Bunmi Koko, Tsemaye Binitie, Pierre-Antoine Vettorello and KlûK CGDT were given a golden ticket invitation to showcase their designs in September 2011, as part of the Made in Africa by ARISE Magazine Collective at the Avery Fisher Hall, New York. Previously, ARISE had a successful run of THREE seasons (in 2009, 2010 and 2011) of the ARISE AFRICA FASHION COLLECTIVES at New York Fashion Week's Bryant Park, New York, and the successful sponsorship of the inaugural ARISE AFRICA FASHION WEEK at the Sandton Convention Centre, in Johannesburg and Cape Town in 2009.